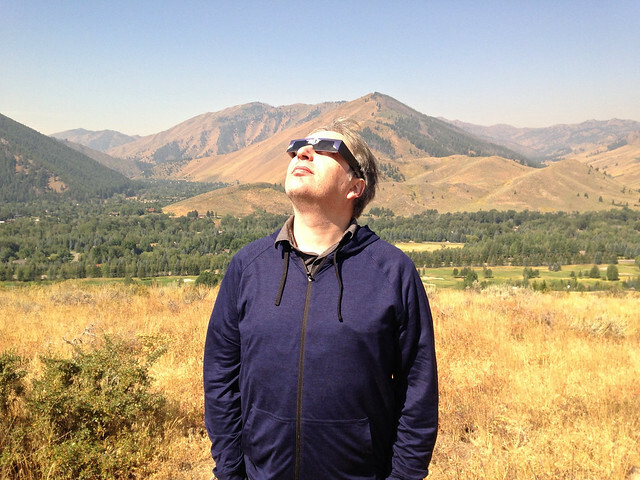 The last sentence was something of a throwaway line, and yet, exactly one saros period after our first total eclipse, Jeremy and I found ourselves flying nearly 5,000 miles—from London to Seattle to Sun Valley, Idaho—to witness our second one. Back in early 2016, Jeremy started dropping hints that we should make plans for the Great American Eclipse. We threw around some ideas, such as getting my parents to drive us somewhere remote in their RV, but August 2017 seemed like such a long way off, so we never pursued these ideas with any urgency. Then suddenly it was the start of 2017, and we still didn’t have any plans, and we knew that if we really wanted to do this, we had to get on it (because people plan to see eclipses not just months but years in advance). We simply didn’t know where to start. Should we see if anyone wanted to go with us and then pick a place to view the eclipse together? Should we pick a place first and then see who wanted to come along? How should we pick a place to begin with? 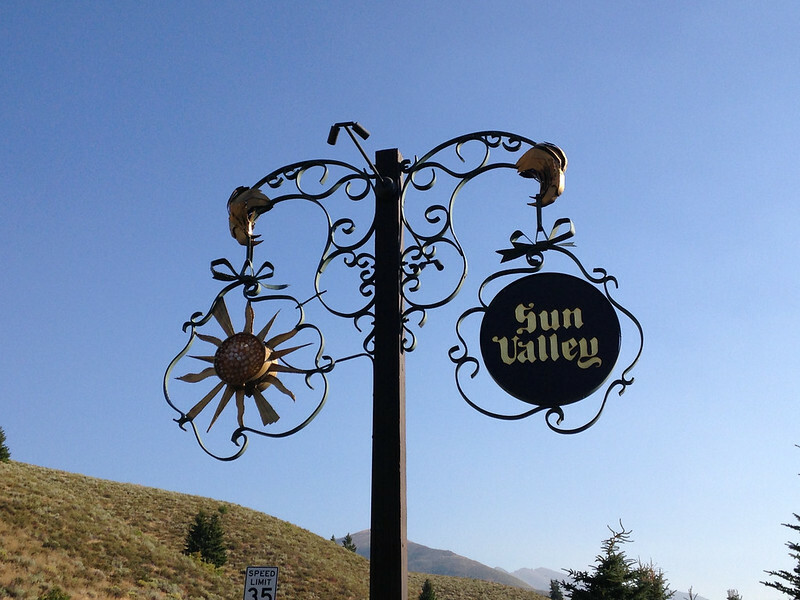 Jeremy agreed that Sun Valley seemed like as good a place as any, and probably a better place than most; it’s called Sun Valley, after all, and it gets a lot of clear skies (it was good enough for the American Astronomical Society anyway). And if it turned out to be cloudy and the eclipse was a washout, at least we’d have a second reason to be there (though it should be said that the ballet festival was really just theoretical at that point—there was no website, no program, no tickets, no information at all other than the brief NYT article). But the theoretical ballet festival gave us a purpose. We researched the accommodation situation and found one lone room left in a “boutique mountain lodge” (read: hostel), which we booked immediately. 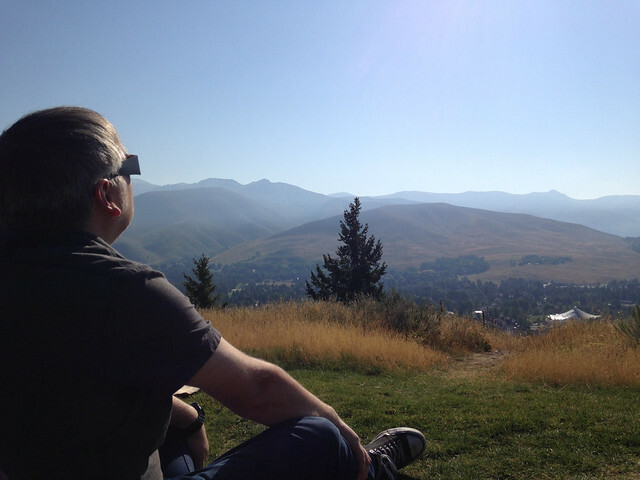 We booked flights from Seattle to Sun Valley. We booked flights from London to Seattle. When tickets for the no-longer-virtual ballet festival went on sale in May, we immediately bought two of them. We bought some eclipse glasses online (four pairs, just in case). And then we were ready. 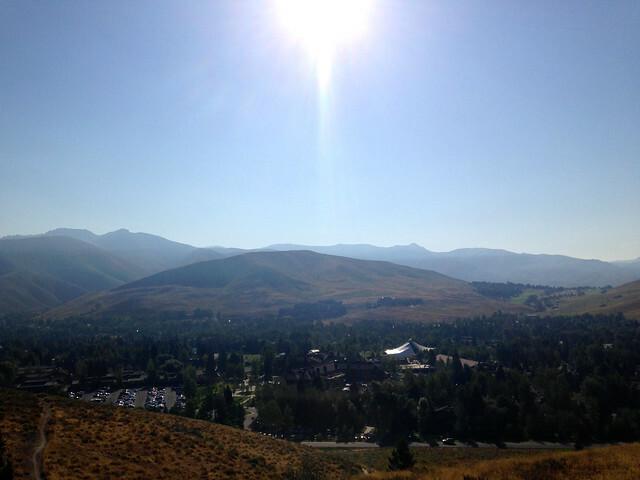 Sun Valley is a ski resort, and we initially hoped to take a gondola to the top of the highest mountain to view the eclipse. But the (very expensive) lift tickets sold out well in advance, so we decided instead to head to a park. On the bus from our hostel to our planned destination, however, we saw people walking up a nearby hill. 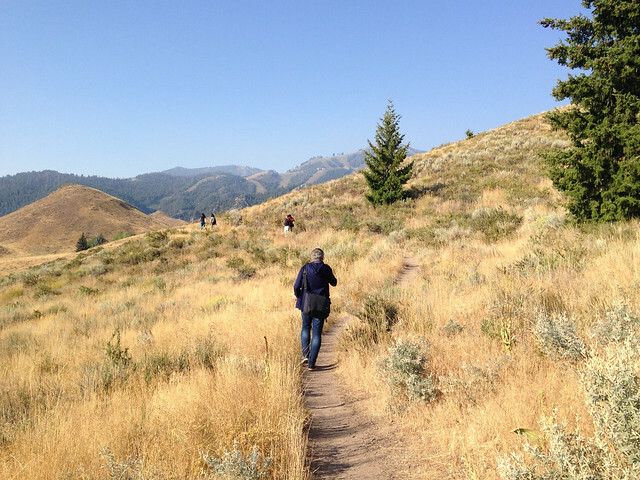 We knew that being higher up would give us the best chance of seeing the moon’s shadow racing across the earth right before totality, so we grabbed some pastries and coffee and climbed the dusty, rocky trail to the top of the hill, emerging onto a flat, grassy space that turned out to be part of the very manicured Sun Valley golf course. So much for roughing it in the wilds of Idaho. It also turned out to be the perfect viewing location, however, with the sun almost directly overhead and panoramic views of the valleys and mountains all around. The little hilltop got busier and busier as we approached totality, with people setting up cameras and passing around eclipse glasses and commenting on the changing light and dropping temperature. It was just over an hour from first contact to totality, and as the moon covered more and more of the sun, you could feel the excitement ramping up. I really wanted to catch the diamond ring effect this time around, but I was torn between looking east to see the sun and looking west to glimpse the shadow bands that might be visible coming across the mountains. In the end, the diamond ring won out: in the few seconds remaining before totality, when I couldn’t really see anything through my eclipse glasses anymore, I (probably prematurely) whipped off the glasses and was dazzled by a blinding white diamond flare from the edge of the sun just before the moon swallowed it whole. And then: totality. Stars and planets twinkling in a 360-degree sunset, and a black sphere in the sky haloed by the silvery plumes of the sun’s corona and, briefly, the ruby glow of the chromosphere. It’s the only time I’ve really perceived the moon not as a two-dimensional shape pasted to the heavens but as a three-dimensional object suspended in space, whirling around between us and our sun. It was magnificent. I stared up and trembled, not just in the chilly eclipse wind, but in awe at the spectacle of our solar system dancing its dance in front of me. There is no other sight like it on the planet. And one minute later, it was over. When another diamond blazed from the trailing edge of the sun, we all put our glasses back on or looked away over the surrounding hills, which were once again bathed in a dim grey light. There was clapping and cheering on the hilltop, and the distant sound of a party starting up in the valley below, and a sense of moving from the unearthly back to the earthly, from the heavenly to the mundane. The celestial spell was broken, and as sunshine and warmth slowly seeped into us again, we made our way down the hill and back into the world. It was a long, long way to travel for 60 seconds of darkness and light—but oh, those 60 seconds will stay with me forever. Next up: April 8, 2024.